The local chapter of the American Association for University Women will host a holiday auction on Saturday, Nov. 17, at First Presbyterian Church. The event will open at 10 a.m. for browsing and refreshments, with the auction set for 10:30 a.m. 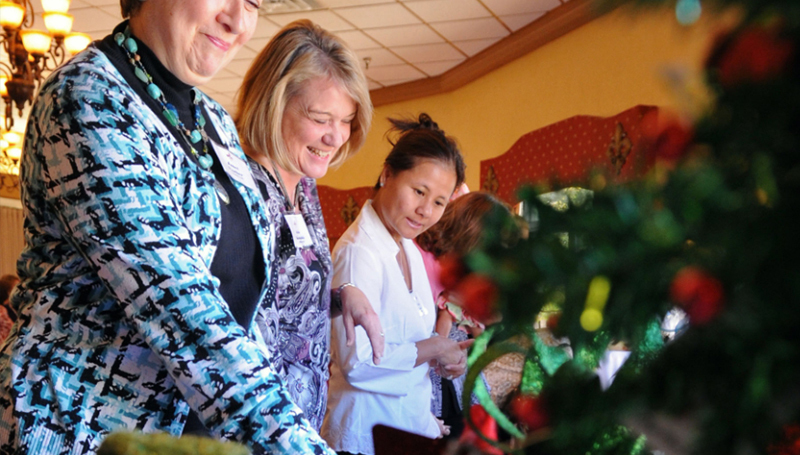 Proceeds from the annual auction benefit a scholarship fund for Missouri Southern students. It will feature baked goods, jewelry, decorative holiday pieces, table centerpieces, collectibles and more from the following contributors: Madison Lane Interiors, Downstream Casino Resort, Margie’s Herb Shop, The Wild Flower, Schifferdecker Golf Course, Blue Moon, Countryside Flowers in the City, Styles Beauty Salon, Comeau Jewelry, Club 609, Club 1201, Silver Dollar City, Andy William Theatre and more.